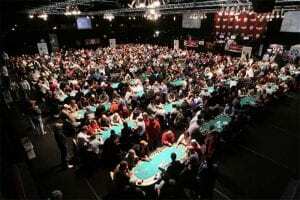 The World Series of Poker (WSOP) is considered to be the biggest poker tournament in the world. Thousands qualify for the range of events with poker players from all around the globe participating. If you’re interested in learning more about WSOP and how to qualify or you simply want to find out how to bet on the tournament we’ve got you covered. The WSOP is a Las Vegas annual tournament featuring a series of poker events which has been running since 1970. American gambling icon, Benny Binion, invented WSOP when he invited seven of the best poker players in the world to the Horseshoe casino. The tournament, known as the Texas Gambling Reunion, only had a single event and the winner was determined through a secret ballot. The tournament grew slowly and attracted over 50 participants in 1982. Then satellite tournaments were introduced where players could win their way to the number of events added to the schedule. As a result, there were over 2000 entrants by 1987. The WSOP has grown every single year and continues to grow with more than 60 events running over the course of the tournament. It is considered to be the biggest poker tournament in the world with some of the biggest prizes on offer. In 2005, Caesars Entertainment signed on to sponsor the tournament. That same year the WSOP US circuit launched, which still runs today. It enables players who cannot make it to Vegas to participate. In 2007 the tournament added a European circuit to mirror the US version. It first took place in London and has moved around the continent to Cannes, Paris, and the Czech Republic. The expansion continued in 2010 when the WSOP went to Gauteng, South Africa. It wasn’t until 2012 that the winners of the event could earn a gold ring, though. The same year the WSOP SA event changed its policies, the Asian-Pacific leg launched. Australia’s Crown Melbourne announced the creation of the WSOP Asia-Pacific (WSOP APAC) circuit with the first tournament held in 2013 in the casino’s poker room. All tournaments attract thousands of participants and two winners from each circuit earn a seat at the season-end championship plus WSOP Circuit gold rings. In 2017 the 48th annual tournament removed the November Nine event, which originally saw the Main Event stop until the final table was determined. Then the nine qualifying players would have to wait over three months to play again. The event reportedly played out this way to allow for television coverage to finish and so fans could learn about the final players. The winner is now determined in July. The WSOP events are televised with ESPN airing the major events, while a new streaming platform called PokerGO – launched in 2017 – airs the minor events and everything else. When WSOP first started the predominant format played was No Limit (NL) Texas Hold’em, but events have been added and removed ever since to create a “something for everyone schedule”. S.H.O.E was introduced in 2001 and stuck around until 2003. It was re-introduced in 2007 but it hasn’t been back since. Permanent offerings include a range of Texas Hold ’em, Omaha Hold ’em and Seven-card stud, as well as H.O.R.S.E – WSOP is attributed to its surge in popularity when it was introduced in 2006. Mixed events are considered to be a fairly new phenomenon in poker – the first mixed events at the WSOP took place in 2000 known as the Ladies Championship. WSOP got even more creative in 2007 and launched two new mixed events known as Half Omaha 8 – Half Stud 8 and Mixed Hold’em. Then in 2008 WSOP added the 8-Game event which covers the five H.O.R.S.E variants, plus 2-7 Triple Draw, Pot Limit (PL) Omaha and NL Hold’em. A 10-Game Mix event was added in 2011 – NL 2-7 and Badugi were added to 8-Game – and then a Dealer’s Choice event in 2014 which covers 16 forms of poker was established. There are also more and more gold bracelet events added every year, where winners receive a physical gold and diamond bracelet. The WSOP Main Event goes back to its roots focusing on Texas Hold’em NL poker. Some prefer to play exclusively in the Main Event, while others avoid it and opt for the other poker events. The Main Event sees the biggest prize awarded along with the prestige of winning the title in the poker world. Poker players from all around the world can qualify for the WSOP via a number of avenues. While US players – except New Jersey players where it is legal to play poker online at licensed sites – cannot qualify online via PokerStars, 888Poker and Full Tilt, players all around the world can. The poker sites hold satellites and if you win you can get a free ride to Las Vegas – you are given cash and expected to use this for a ticket into the WSOP Main Event. The satellite qualifiers generally start long before the WSOP tournament kicks off – which is held in the middle of the year – so you can get started early. 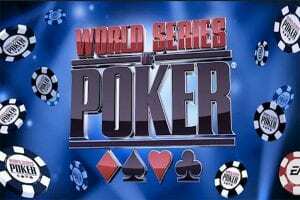 WSOP also hosts daily tournaments at a selected Las Vegas casino which can be accessed via live satellites. The tournaments have buy-ins well under the $10,000 Main Event cost which is why many talented professional poker players opt for this avenue. Winners receive tournament chips which can then be used in the WSOP gold bracelet events. Can I bet on the WSOP? If you are interested in poker but don’t play enough to qualify for the WSOP tournament, you can bet on it instead. While poker is interesting enough, betting sites offer markets on the coveted poker series. Bet365 is one site with an available poker market open on the Main Event winner, where you can bet on who will win with some great odds. Make sure you follow the coverage and updates on the WSOP website to make your pick wisely.